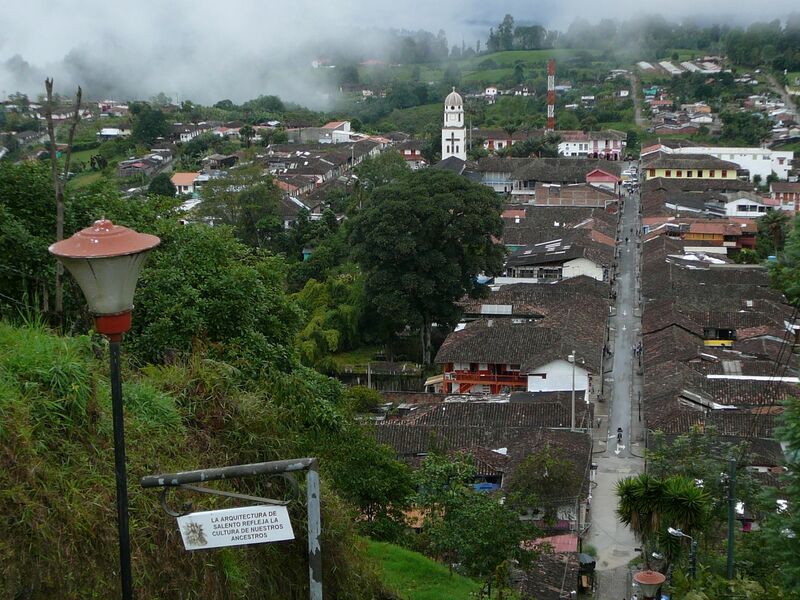 Salento is perhaps the most typical and the most untypical village for the department of Quindio. 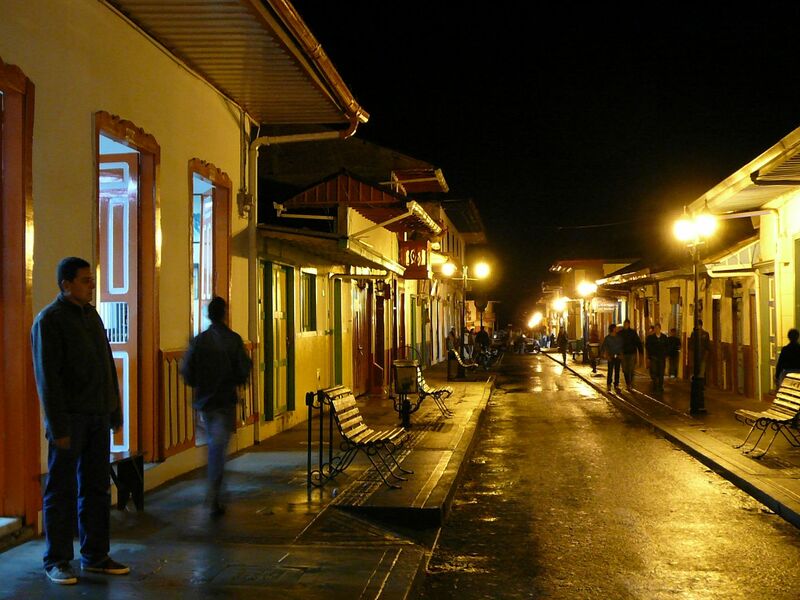 It is known for its traditional wooden houses in the style of the 19th century and attracts many turists. And, unlike any other village, it lives for and from its visitors. After a long time, I heard spoken English. 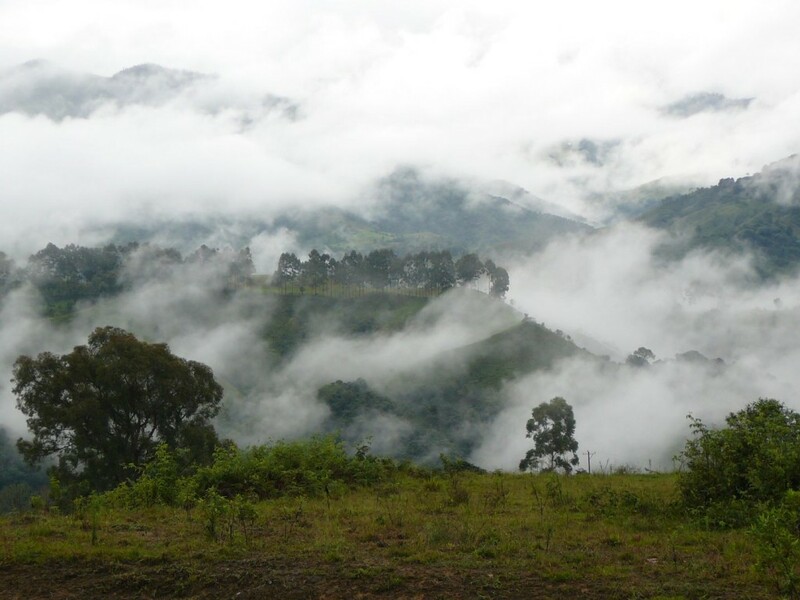 We enjoyed the view into the beautiful Valle de Cocora (just on the other side of La Florida) and took a walk in the rain before dinner in a pretty and rather peculiar jazz restaurant. Dieser Beitrag wurde unter Auf Englisch, Vivencias abgelegt am 21. Mai 2013 von skuttruf.